These sterling silver merkaba post earrings are perfect for anyone who loves simple geometric jewelry. Often thought to carry the energy of Spiritual transformation the Merkaba Star is seen as a vehicle for Ascension. Early Jewish mysticism cites the Merkabah as the chariot that carried Elijah up to heaven. Ancient Egyptians referred to this primal pattern as Mer-Ka-Ba with "Mer" meaning Light, "Ka" meaning Spirit and "Ba" meaning Body. 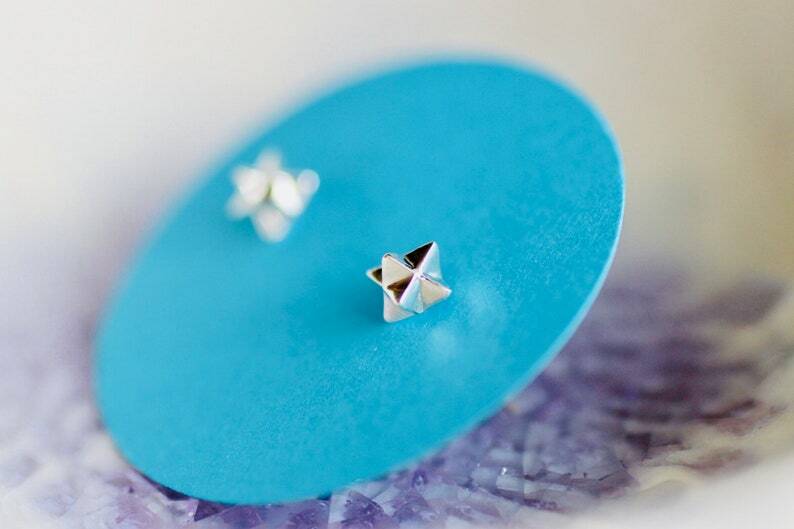 The Merkaba Star studs measure 6 mm.